The best massage in Tinley Park is closer than you think. Using your smartphone you have access to a spa quality massage 7 days a week, 365 days a year. A massage therapist will come to your Tinley Park home, hotel, or office in as little as an hour, or schedule in advance. Relax and recuperate with a spa-quality massage in the comfort of your Tinley Park home. There are over 9,000 massage therapists in the Zeel network nationwide. Here are a few that are available for in-home massages in Tinley Park. 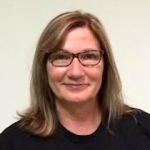 Janet is a licensed massage therapist skilled in providing massage services to clients utilizing safe, appropriate and helpful massage techniques. She has a strong capability to observe clients’ reaction to massage and modifying her treatment plan accordingly. She has learned a variety of techniques in Swedish, deep tissue and facilitated stretching, in addition to some other techniques, which she slots into her massage sessions depending on the requirements and preferences of the client. 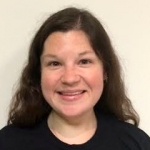 Licensed massage therapist Roberta is a professional and dedicated massage therapist delivering high-end massage to her clients in the Chicago area. She specializes in a number of modalities that allow her to deliver customized massages for her clients. These modalities include Swedish, deep tissue, myofascial release, trigger point therapy, and more. Roberta is committed to the health and comfort of her clients, and strives to help her clients meet their wellness goals. Licensed massage therapist Frederick has been practicing massage for over 15 years at some of the finest spas and hotels in Chicago, including the Ritz-Carlton and Peninsula hotels. His work is individually appropriate, facilitating awareness and choice and creating a space to breath. 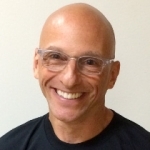 He has traveled extensively, frequenting many intentional communities, and his continuing education in therapeutic healing techniques draws from a wide array of modalities and philosophies, all based in a mindful client/therapist connection. Frederick maintains and evolves a balanced and healthy lifestyle that focuses on proper nutrition, daily yoga, meditation, exercise, and an awareness of the mind-body dialogue. The best massage in Tinley Park is as close as your smartphone. In fact, it can come to you. Book with Zeel for the easiest and best Tinley Park massage out there, delivered to your door. Residents and visitors enjoying the bustling shopping scene, high-profile hotel options, and the popular Convention Center in Tinley Park. And can now benefit from Zeel’s network in both Cook County and Will County, right off of near Interstate 80. In this family-friendly, transportation hub, Zeel clients appreciate the ease of ordering same-day massage with just a few taps on their smartphone. Book a mobile massage today with our professional Tinley Park massage therapists. Enjoy the experience of same-day massage 7 days a week, even on holidays. Zeel Massage Therapists are on call forSwedish massage, deep tissue massage, prenatal massage, or sports massage. Book and treat yourself, or schedule a couples massage for today, or for up to 30 days from now. Skip the wait and hassle of the spa and book a Zeel Massage in Tinley Park today. Zeel provides Swedish massage, deep tissue massage, prenatal massage, sports massage, couples massage, and chair massage in Tinley Park.